As you load up your holiday plate with all of the delicious, traditional comfort food delights, your calorie count can easily spill right over the top. 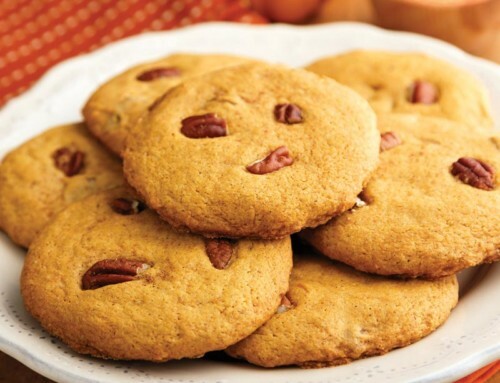 Our selection of holiday recipe classics provides a winning combo of great taste, easy portion control. and wholesome food. 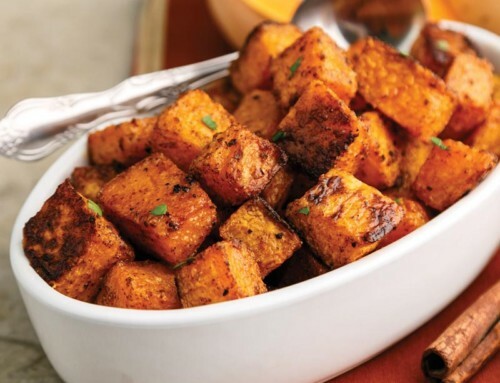 Here are some great tips to keep in mind as you are cooking away! Turkey: No need for sticks of butter! Simply watch the meat thermometer and make sure not to exceed 165° F. Baste with pan drippings frequently during cooking. 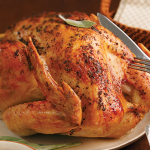 As little as 2T of butter will give you a perfect bird. 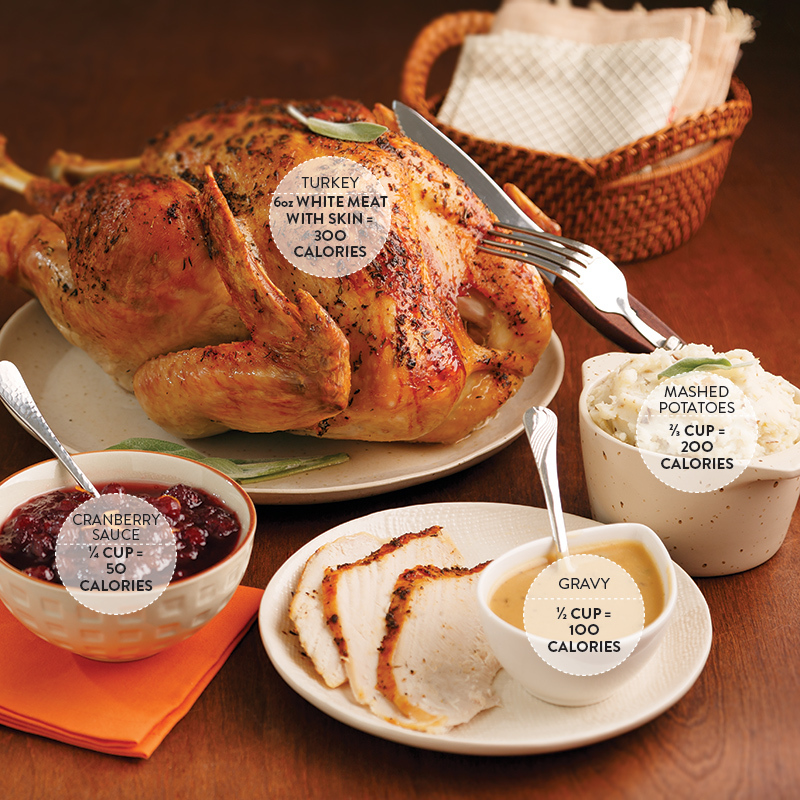 The perfect portion of turkey is 4 to 6 ounces, at a total of 300 calories. You can eat even more if you choose skinless white meat! 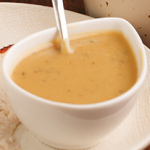 Turkey Gravy: Skim off the turkey grease from the delicious pan juices, cook them down in order to super concentrate them, and then stir in a little creamy Greek yogurt for a smooth finish. Guilt-free gravy? Absolutely! 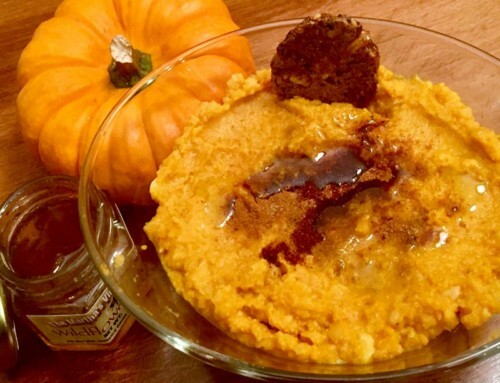 Mashed Potatoes: Use Yukon Golds! This variety has a natural creamy and buttery texture, so you can add less butter of your own. Plus, keep the “skin (peel?) in the game” to add more fiber and keep you feeling fuller! 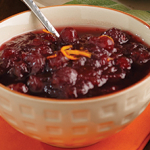 Cranberry Sauce: Make it fresh! It is so easy to make, and allows you to know exactly what’s going in! 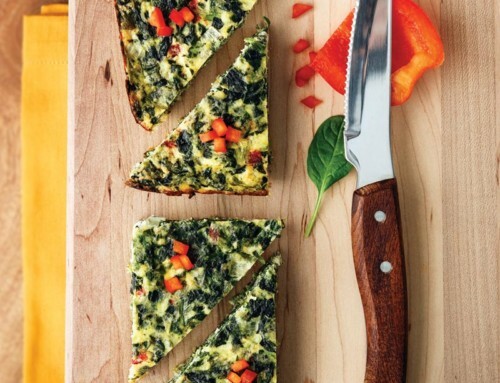 Orange juice and zest add great flavor. 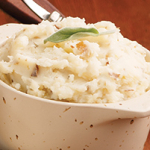 TIP: Want some stuffing and mashed potatoes? 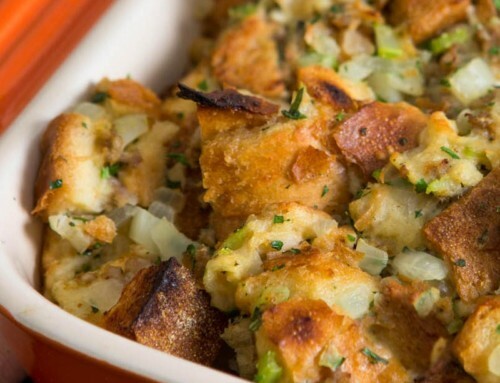 Simply have just 1/3 cup for 100 calories, and have a 100 calorie portion of stuffing to get in all the tastes of the holidays! Don’t forget to add in some cooked veggies too to get you fuller faster, or start with a salad!